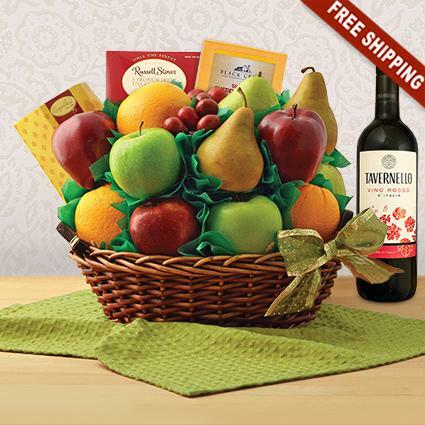 Enjoy Tavernello Vino Rosso red wine along with twelve pieces of succulent fruit fresh from the garden, cheese, chocolates, cookies, and nuts - terrific! Tavernello Vino Rosso D’Italia is an authentic, easy drinking Italian red wine with delicate floral aromas and a rounded palate of dark fruits. Enjoy with grilled pork chops.